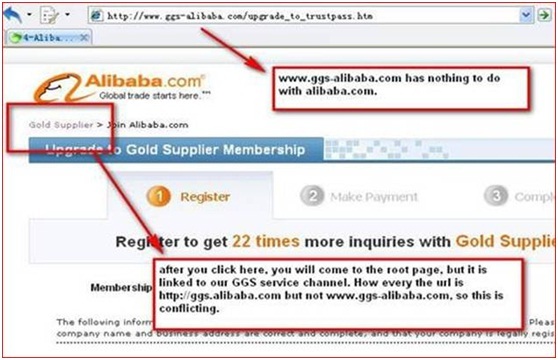 Scammers usually use the Alibaba.com name and send emails using fake email addresses that appear to be real. These emails seem to come from Alibaba.com employees, such as frank@ggs-alibaba.com. These emails claim that you can upgrade to become a Gold Supplier at only a fraction of the current price. The links and buttons (e.g. Upgrade Now) in these emails will then direct you to a scam website where you are asked to make payment.